We offer our customers a broad array of Industrial Motors that are used in various industries for diverse purposes. In the view of our enormous understanding in this domain, we are counted amongst the most profound names engaged in offering of Servo Motors. Consist of a suitable motor coupled these motors allow precise control of angular position, velocity, and acceleration. 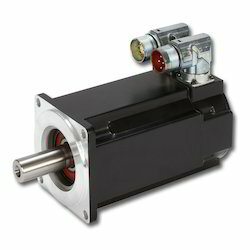 These Servo motors are manufactured using the superior grade materials sourced from the reputed vendors of the market. The clients can avail our Servo motors in various customized sizes and designs as per requirements at reasonable price. 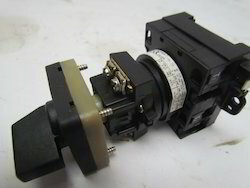 To fulfil the specific requirements of clients, we are offering this, Linear Motors. Linear motors are widely used for baggage handling, sliding doors and can even drive large-scale bulk materials transport solutions. Also, these linear motors are used to create rotary motion, for example, at observatories to deal with the large radius of curvature. It is tested under strict quality parameters like service life and optimum performance. 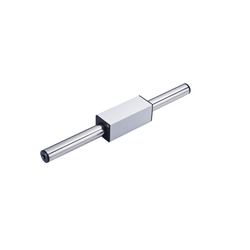 In accordance with the various industry standards, these linear motors can be availed at a reasonable price. Since our foundation, we are successfully offering an extensive range of Manual Rotary Motor. These products are designed under the supervision of skilled experts by utilizing optimum quality materials at well-equipped production unit. Renowned for excellent strength, these products are used for installing with several machines and devices for optical examinations on samples.